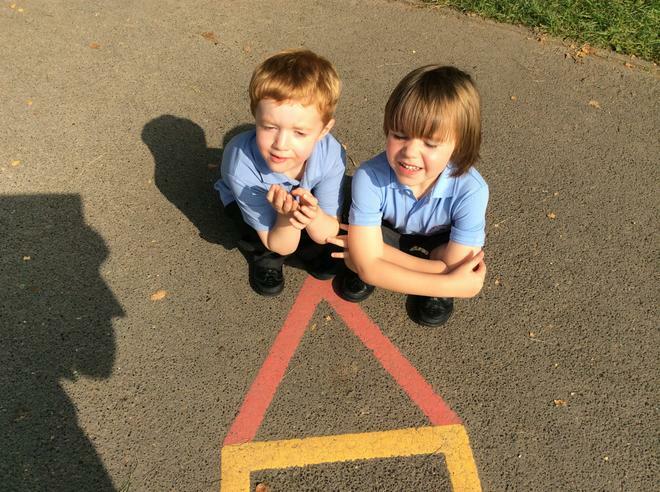 We have been learning about shapes and finding shapes in our environment. 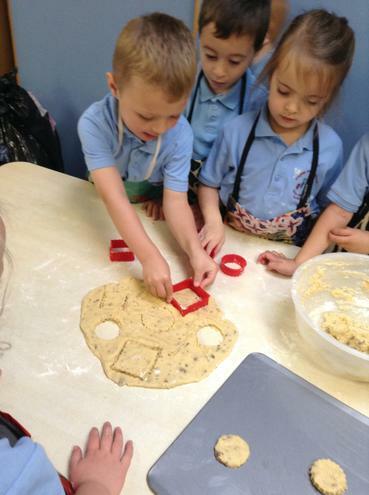 See how many shapes you can find at home. We have also learning about patterns and making some of our own. How many patterns can you find around your home? We have been very busy learning new sounds. We now know m, a, s, d, t, i, p, n, g, o, c, k, u, f, h and l. Can you find anything that begins with these sounds? 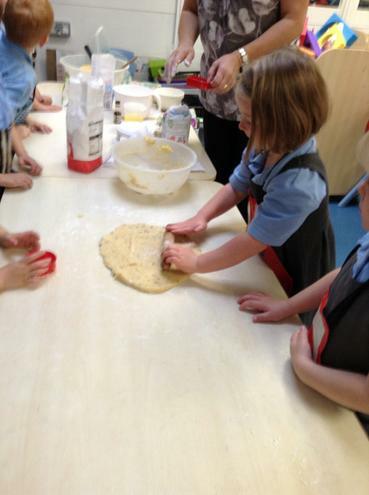 We enjoyed making biscuits for our harvest bake. We raised money for Streetlife orphanage in Kitwe. This week we have welcomed our rabbit. 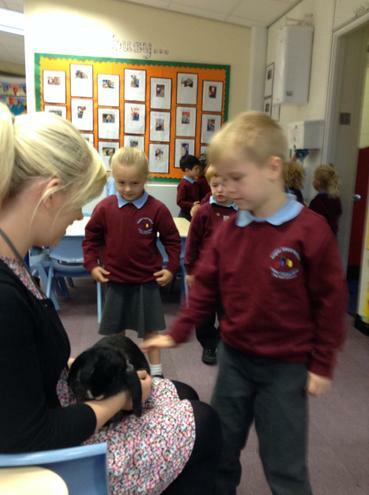 We have been thinking about how we will look after him and keep him safe. He enjoyed meeting everybody and is looking forward to being named! If you have any ideas about what we can call him please write the name on a piece of paper and hand it to the Reception staff. We hope you have a lovely and busy half term holiday. 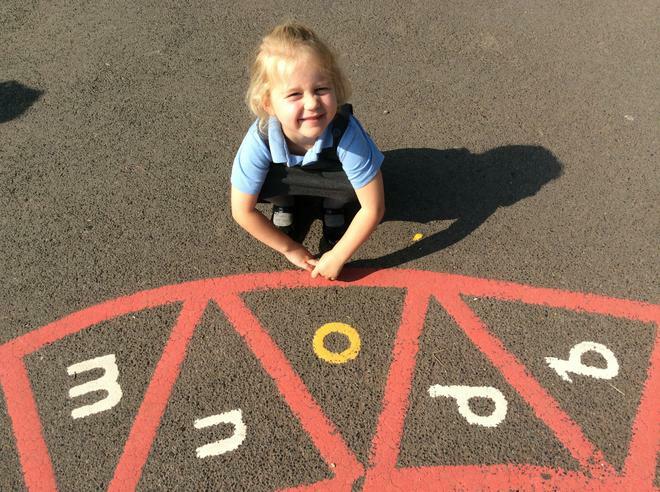 We are looking forward to sharing our news when we get back to school.